The Once are a modern indie folk trio from Newfoundland. The members are Geraldine Hollett, Phil Churchill and Andrew Dale whose beautiful harmonies and tasteful instruments are the trademark of this band. 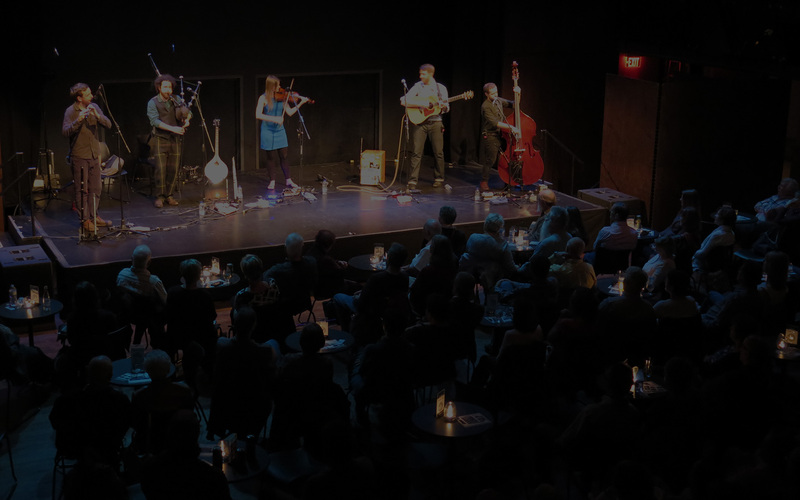 They have collected three Canadian Folk Awards, numerous ECMA Awards and named artist of the year by the Newfoundland & Labrador Arts Council. Two JUNO nominations for best Roots/Traditional album, the most recent in acknowledgement of Departures (2014). The Once’s newest collection of songs on We Win Some We Lose encompass an arresting sense of loss, emphasized musically by Geraldine’s bewitching delivery of beautiful haunting melodies. Expect a rousing, sing along, kitchen party Christmas concert filled with Newfoundland charm and wit. They last played Folk Under the Clock five years ago.